How to Insert Direct Quotes Effectively in Essays. As a general rule, inserting quotations in your essay is one way to strengthen your idea, argument, or observation. Thus, you put a direct quote in your paper in order to give it more credibility. But simply quoting a text does not guarantee that is effective. 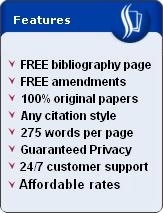 There are many ways to quote directly, but not all of them make your quotation a perfect match for your essay's needs. In this article, we will be examining what makes a snippet of words from an article, book, or other forms of text useful for your paper. In other words, we will be taking a look at how to quote effectively. The basic trick is to make sure that what you are quoting directly correlates with what you have written. For example, if you wrote about the quality of the American economy under the Trump presidency, the direct quote should say something about your topic by expanding on it or explaining it. The quotation might say that the economy is doing fine by including statistics, or it might say otherwise. In any case, the quote you will insert in your essay must be relevant to where you are going to include it. Another secret on how to quote effectively in an essay is to limit it to a single sentence at most. Quoting two lines or more, sometimes a full paragraph, can be distracting. It also restricts the length of your own thoughts that you can write in your essay. This is true for papers with a short word-count limit. So make every direct quote count. Use it only where it is needed, specifically in statements that need supporting lines from another source. Lastly, do not forget to cite your direct quote. Proper citation is a basic rule, and the kind of attribution will depend on the style required. For example, the APA format "requires an author-year format, plus the page number if taking a direct quote from a specific text" (Essay Tips, 2017, p. 1). Take note of the placement of the parentheses, the comma usage, and the period. Another example: the MLA format "requires only the last name of the author, plus the page number" (Essay Tips 1). Note that no comma is required there, and no abbreviation for page. 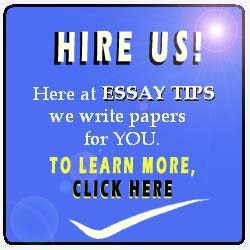 In case you are still having trouble about how to insert direct quotes in an essay, send us an email. We may be able to help you out. Just follow the links above in the website's header.